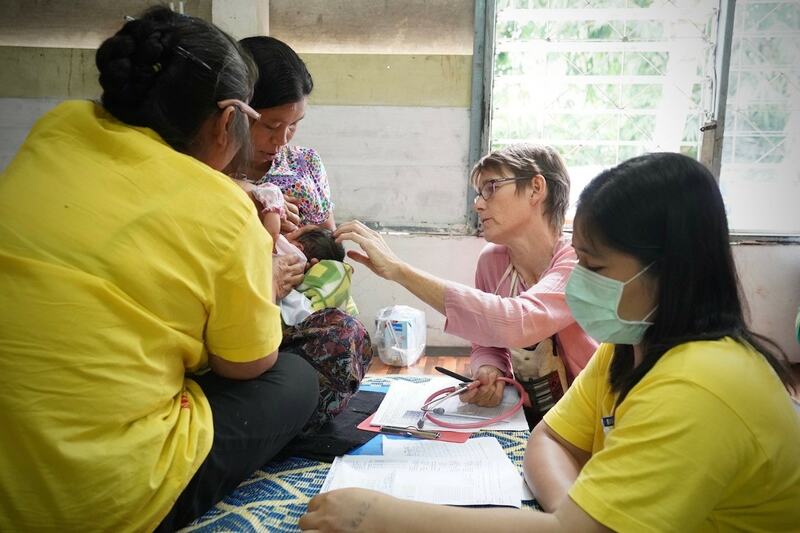 The people of Burma, now Myanmar, were being devastated by conflict and drug resistant malaria, when alumna Rose McGready arrived. It was a temporary work placement that became much more than she expected. Rose McGready (2nd from right), has dedicated her life to treating malaria in pregnancy, often relying on the most meagre resources. 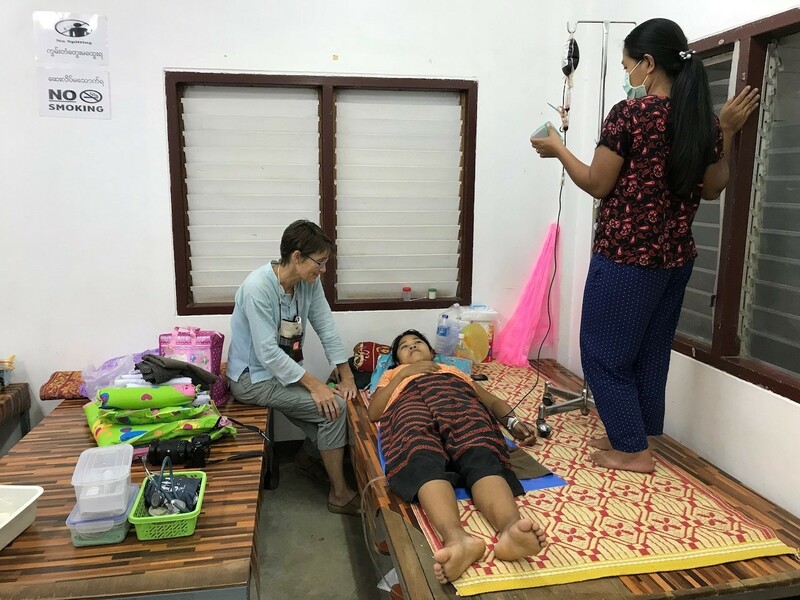 When Professor Rose McGready (MBBS ’90) arrived on the Thai/Myanmar border in 1994, it had been a volatile and dangerous part of the world for many years. Rolling insurgencies against the government from a number of ethnic and political groups created poverty, human rights abuses and the displacement of thousands of Burmese people, many of whom fled into Thailand. The political situation wasn’t McGready’s concern though. She was there to help control the drug-resistant malaria that was rampant among the desperate refugees and locals, and the primary cause of death. As she began this temporary work placement at the Shoklo Malaria Research Unit (SMRU), McGready couldn’t have known that this beautiful but fraught region would become her home for 25 years and make her a world authority on malaria in pregnancy. “It was supposed to be a six-month stop on my way to Africa. I never made it to Africa,” says McGready. In preparation for the African trip, McGready had been studying tropical medicine, and took up the short-term placement at the SMRU to increase those skills. They also desperately needed her existing skills in obstetrics. Electricity is an ongoing challenge. Supply on the Thai side is reasonable, but just 25 km into Myanmar there is no electricity. Even large towns have one generator that only runs for a few hours, which people connect to car batteries. We haven’t got another drug. It’s act or lose out forever. Malaria is the most common parasitic infection of humans, transmitted to the blood via mosquito bites. The World Health Organization (WHO) estimated 220 million cases last year and worryingly, data between 2015-17 shows no significant progress in reducing global malaria cases. With a weakened immune system, expectant mothers and their babies are particularly vulnerable. When McGready started her placement, the SMRU had implemented a way to catch the infection before it became severe. From their base on the Thailand-Myanmar border, they would travel to rural populations by crossing single log bridges over streams and rice paddies, and take foot tracks over hills. The pregnant women they found would be screened by finger prick sampling for malaria, and treated in the early stages with medicine to kill the parasite. There was another drug, Artesunate, but it was believed to be harmful for pregnant women. The drug was a last resort, given to women who otherwise would not survive. Not only did it work, there were no side effects on the babies. The SMRU’s groundbreaking use of Artesunate subsequently saved countless lives and led to new WHO guidelines for treating the parasite. For McGready (L), giving her all to the job sometimes means donating her own blood, as she had to do for this patient. And that work has never stopped. Five years ago they had to face the same crisis as resistance emerged to Artesunate – the backbone of malaria treatment. Another plan of attack was needed, so they approached philanthropic organisations dedicated to improving health in developing countries: the Bill & Melinda Gates Foundation, the Global Fund to fight AIDS, Tuberculosis and Malaria, and the Wellcome Trust. The new goal is ambitious – to get rid of the parasite completely. With funding and the SMRU’s Malaria Elimination Task Force, every rural village in Myanmar’s Kayin State established a malaria post. At each location, a local villager is trained and provided with a box that has what they need to take a blood sample, test it, and if someone tests positive for malaria, provide effective medication. 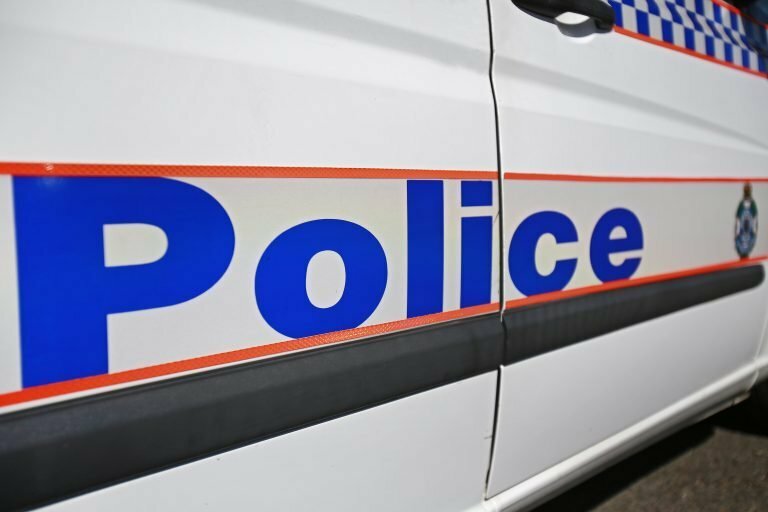 “You don’t need to travel anywhere; you don’t have to walk six hours when you feel sick,” says McGready. “And malaria, the type that kills you, has disappeared. It’s amazing. If we can push this beyond Myanmar and Cambodia and Laos, the prospect of elimination is really on the doorstep. From what was only supposed to be a short stay, McGready has now raised a family in Thailand and has been working at the SMRU for almost half her life. The research continues, and the delivery room is open 365 days a year. /University Release. View in full here.